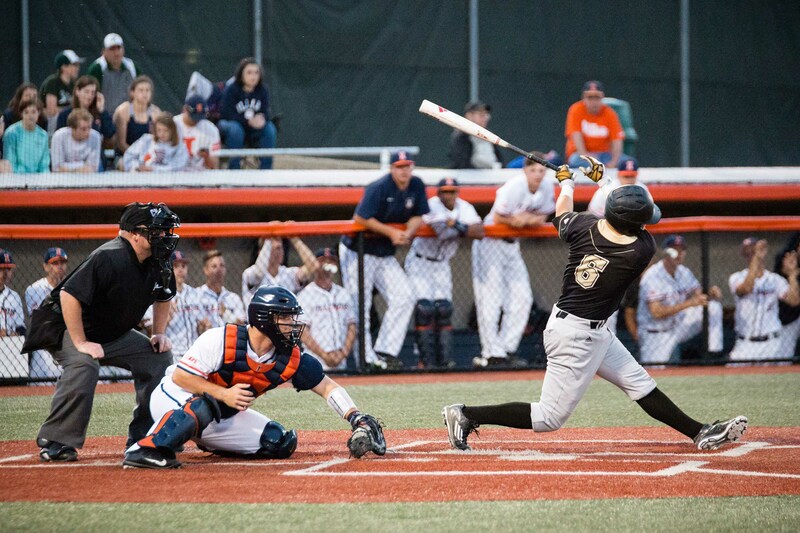 Illinois catcher Mark Skonieczny catches a third strike against Western Michigan at Illinois Field on Tuesday. 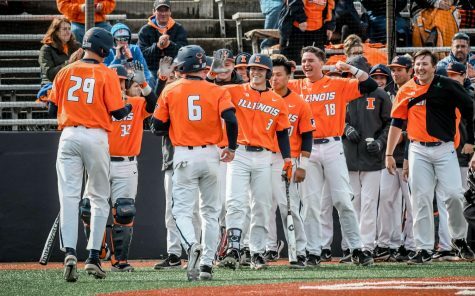 Illinois travels to Purdue this weekend to inch closer to a .500 record. 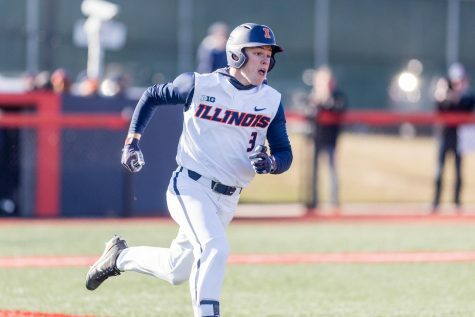 On March 31, the Illinois baseball team was at its lowest point of the season. 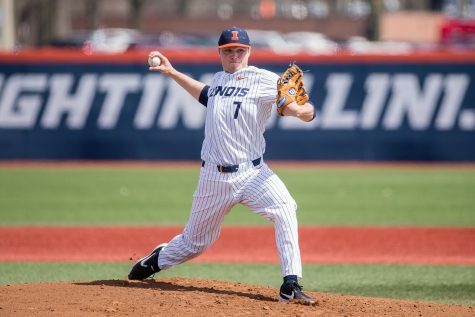 The Illini had dropped six of their last seven games, and at the pace things had been going, there was not necessarily a sign of a quick change. But, since then, things have been different. 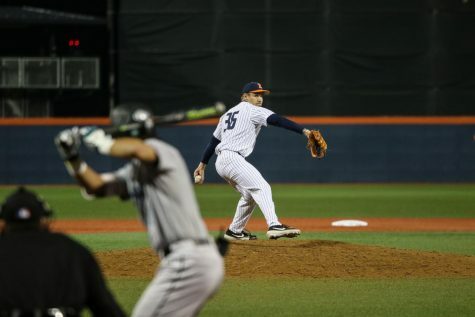 The pitching staff has shown improvement, and the offense has also shored up its numbers. 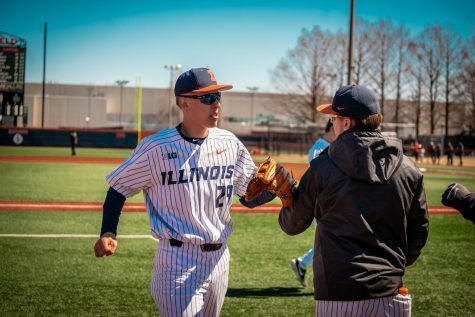 The Illini have now won nine of their last 12 games, and the team is in place to come within just one game of .500 with a potential sweep of Purdue this weekend in West Lafayette. 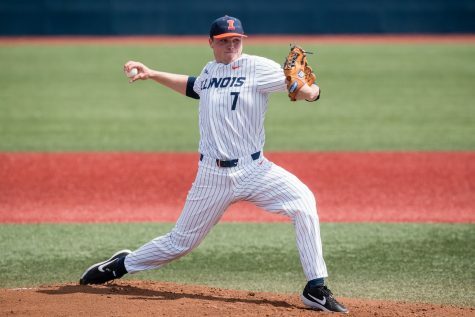 Despite the improvement, the Illini still have plenty to prove. This is a good weekend for them to do just that. Purdue currently sits two spots ahead of Illinois in the Big Ten standings. 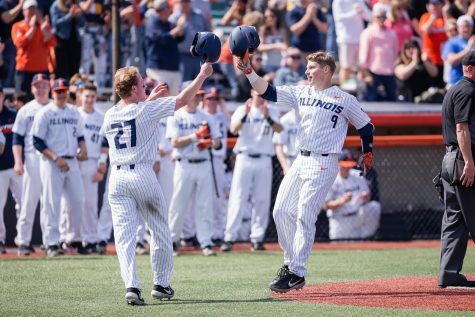 With a series win, the Illini have a shot to jump the Boilermakers in the standings. For the last couple of seasons, former Illini Jason Goldstein was the team’s anchor behind the plate. After losing him to the MLB, the team understood the need to find a solid replacement. Heading into the season, sophomore David Craan was projected to get the majority of starts and that is exactly what he has done. He has knocked in two home runs and hit over .300 for the first part of the season, but in recent weeks, Craan has hit a slump at the plate. 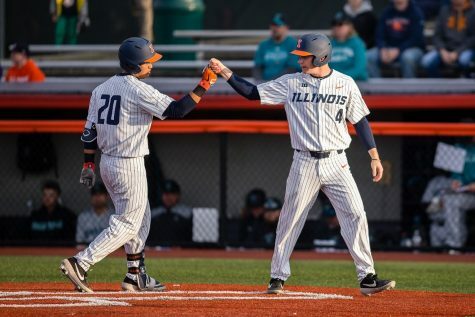 Despite Craan being the original starter, his status has not held up as junior Mark Skonieczny has taken over as the primary catcher since early April. 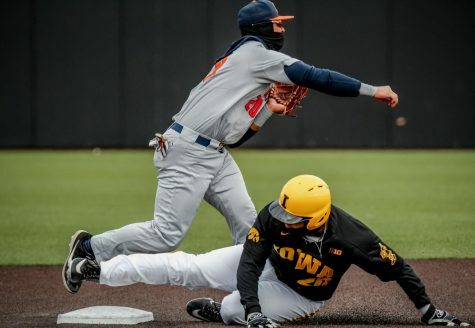 Skonieczny is more of a defensive catcher than Craan — evidenced by his throwing out seven of nine attempted base stealers — but as of late, he has started to swing the bat well. He has collected five hits in his last six games and hit his first home run of the season against Western Michigan on Tuesday. 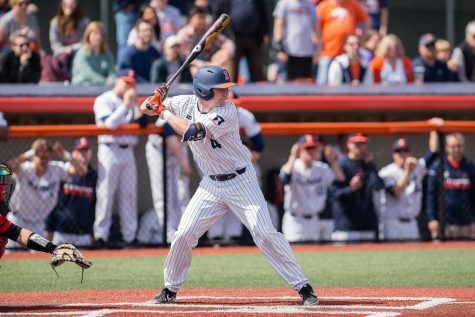 Over their last 12 games, the Illini have scored six runs per game. The team has also scored 10 or more runs twice and five or more in eight games. This is plenty of run support for a pitching staff that has struggled and allows it to approach the game much more comfortably instead of facing scenarios like tight two-run leads all game.